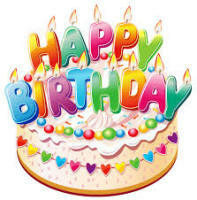 Ordering your celebration cake from Appleblossom is really easy. All our celebration cakes are priced by the size of the cake that you order. 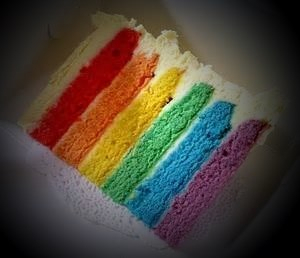 You can have any shape of cake and any flavour. If you wish to query a price just pop your request on an email or send me a text and I will come back to you as soon as I can. 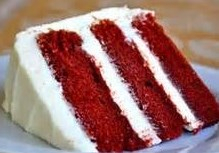 If you are working to a tight budget scroll down to our Budget Busting Cakes for more information. Our cakes are all baked to order, so freshly baked just for you. Once you have tried one, you will appreciate and taste the difference between the mass produced supermarket cakes (which have loads of preservatives to add shelf life) and the freshly baked one. Yes they are a little more expensive but the quality of the product speaks for itself. Simply answer the 8 points below. This will give us all of the details we need to complete your order form and pop it over for you to check and amend. 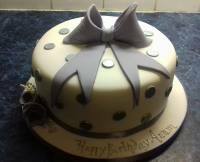 if you order a wonky cake the price will be a little more as it is a much bigger cake and not a standard size mix. IMPORTANT INFORMATION: ALLERGIES: PLEASE MAKE US AWARE IF ANY MEMBER OF YOUR PARTY HAS A FOOD ALLERGY I.E. NUTS, DAIRY OR GLUTEN ETC. Photo cakes are now available. You can provide the image for your cake from a photo which you have taken and we can reproduce this image in sugarpaste to go onto your cake. This is fabulous for anniversary and birthday cakes which you may want to personalise. We must have at least 2 weeks notice for photocakes please to ensure we have the correct photoprint paper in stock. Please be aware that some images have Copywrite and we cannot reproduce these. Carved novelty cakes and cartoon style cakes are also available on request, but some cakes may have a copywrite on them and will will not reproduce these. THESE CAKES ARE SERVED ON THIN CARD (NOT THE USUAL CAKE DRUMS) BECAUSE OF THE SOFT NATURE OF THIS MIX, IT ISN'T REALLY SUITABLE FOR STACKED CAKES, FOR THOSE YOU WOULD BE BETTER CHOOSING THE MADEIRA CAKE MIX ABOVE. IF YOU FIND YOU ARE UNABLE TO COLLECT YOUR CAKE FROM OUR PREMISES FOR ANY REASON, THEN WE DO OFFER A DELIVERY SERVICE FOR A SMALL CHARGE. WE CHARGE £2.50 FOR DELIVERIES WITHIN A 5 - 10 MILES AND £5.00 FOR ANYTHING 10 -15 MILES. DUE TO OUR WORKLOAD, WE ASK WHERE POSSIBLE THAT YOU TRY TO ARRANGE TO COLLECT YOUR CAKE, ESPECIALLY DURING WEDDING SEASON WHEN OUR KITCHEN IS VERY BUSY. IF YOU ARE ORDERING A WEDDING CAKE THEN YOUR DELIVERY COSTS TO YOUR VENUE WILL BE CLEARLY MARKED ON YOUR ORDER FORM SO YOU CAN MAKE AN INFORMED CHOICE ON WHETHER YOU WISH TO TRANSPORT YOUR CAKE YOURSELF OR ASK US TO TAKE IT FOR YOU. 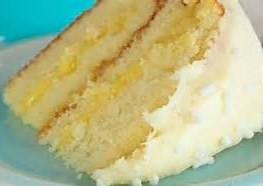 The keeping properties of sponge cake means that we try and make your cake as close as possible to the day you want to collect your cake. We usually begin work on your cake about 2-3 days before it is due so you have the optimum cutting time of approxiately 5 - 7 days. Fruit cakes are much better with a lead in time of 2 - 3 months to allow them time to mature and develop a good flavour. These can also have additional alcohol added to the fruit for soaking ( if you prefer it strong) and to the cake. You can choose from rum, brandy or whiskey. 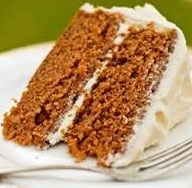 If you prefer your cake to be moist but don't like alcohol, you can choose water, orange juice, or apple juice which also give a lovely flavour. HAVE YOU FORGOT THE CAKE!!!!!! or someone let you down?!! DON'T WORRY!!! We can usually make a cake with 2-3 days notice. We don't keep cakes on the shelf, so we can't provide you with a cake on the same day, but we can make them fairly quickly. 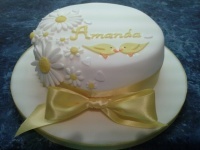 Short notice cakes are just simple round or square cakes with a simple greeting and decoration. We can make them speedily for you, but please be aware that cakes already booked into the work diary have to come first. With the best will in the world, what we cannot do is make your problem, our problem and then not be able to complete work for customers that is already scheduled in our diary. This work has to come first.